How Do Water Filter Systems Work? How do UV Water Purifiers work? The Lowara range of well pumps from Xylem such as the SC205CG, SC207CG, SC211CG are stocked by On Tap Water Treatment. They are ideal for pressurizing water from your well. 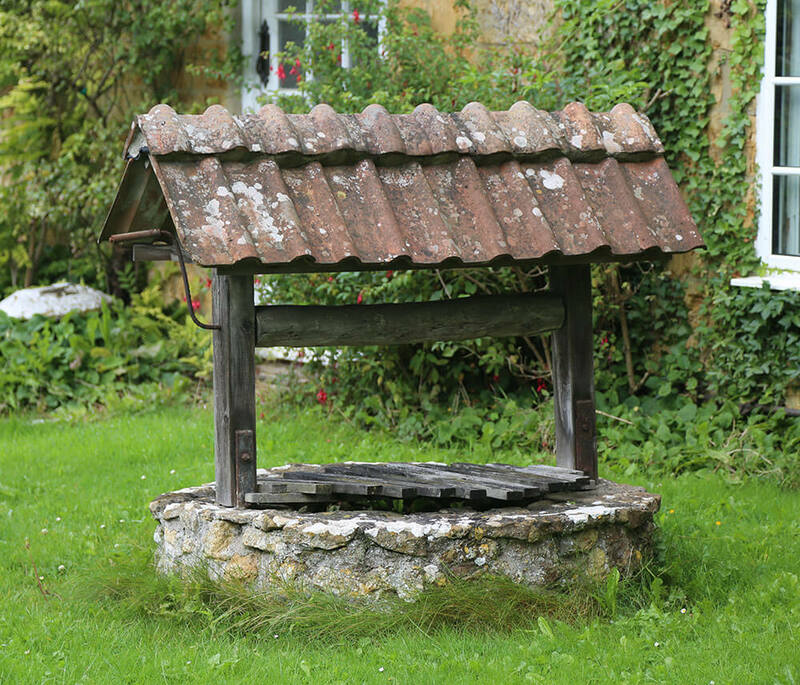 If you have found a well in your garden then it may be possible to bring it back into useful service to provide a domestic water supply for your home. Many homes during the last century would have relied on a shallow well, which would have been hand dug and lined with stone or brick. Wells are typically between 5 and 20m deep and collect surface water from the surrounding land. The level of water seen in the well is often the natural ground water level. In former times water would have been raised by bucket or hand operated lift pump, which would push water to a roof storage tank. Nowadays we can offer more practical solutions to harvest the water. With a suitably sized submersible pump the water can be raised and pressure fed into the property. With correct treatment it could be made viable for domestic use. Cheap submersible pumps may only raise the water a few meters and are only suitable for watering your garden. On Tap Water Treatment can arrange a reasonably priced ‘well yield test’ by installing a loan pump. This will determine whether the supply is feasible for your needs. Once the well has been reactivated a full water analysis is recommended to identify any chemical or bacterial contaminants. Common problems such as Low pH, Bacteria, Hardness, Iron or Nitrates can easily be treated. It is very rare that well water cannot be transformed into a potable drinking supply. For existing pump installations On Tap Water Treatment offers a repair and routine maintenance service. The life of a pump installation can be considerably extended with regular attention to both the pressure switch and pressure tank. Click here to find out more about how you can help water aid.